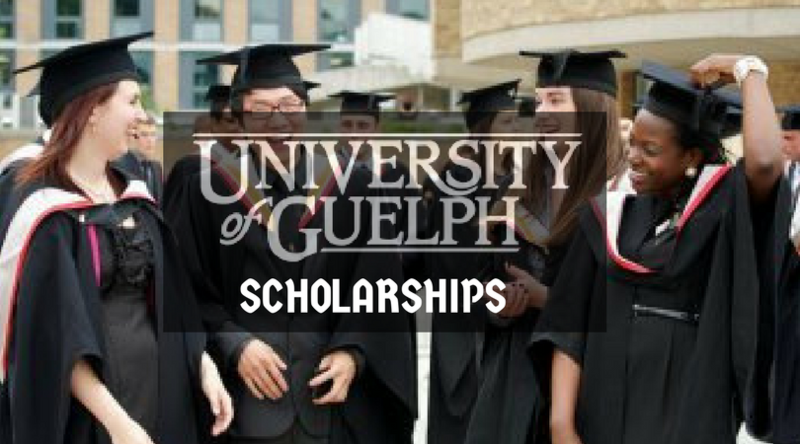 University of Guelph is inviting applications for International Doctoral Tuition Scholarships. The IDTS is available to all incoming and current international PhD students who meet the criteria outlined below, starting in F18. Scholarship Provider: The University of Guelph (U of G) is a comprehensive public research university in Guelph, Ontario, Canada. 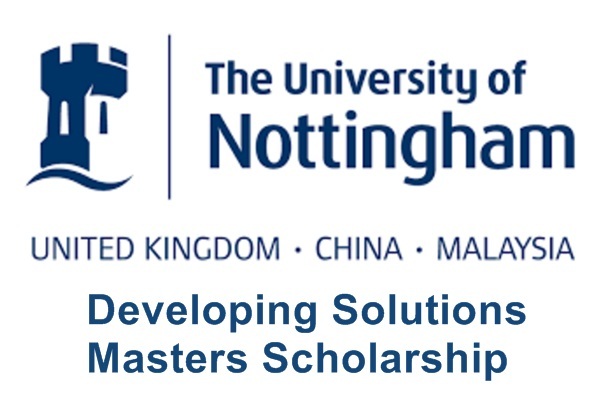 Degree Level: Scholarships are available for pursuing doctoral programme. Scholarship Benefits: The award is valued at $11k per year for up to 4 years. 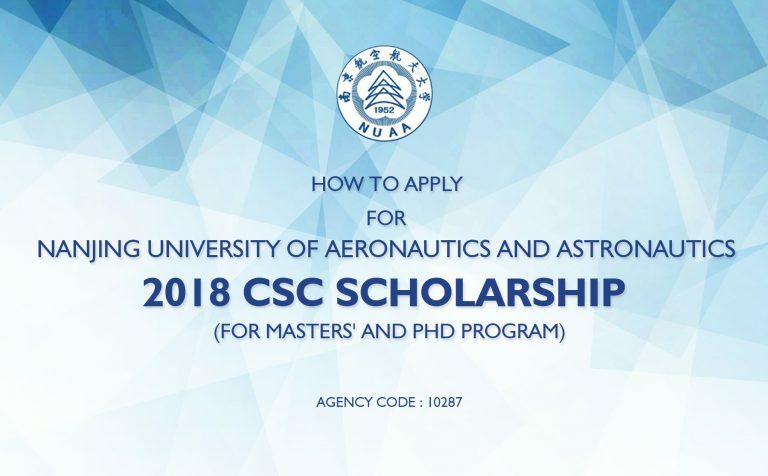 Eligibility Criteria: The scholarship will be awarded to new international full-time doctoral (PhD and DVSc) students with a minimum A-/80% entrance average (Guelph equivalent) for up to four years (12 semesters). New international full-time doctoral students without a minimum A-/80% entrance average will become eligible for the scholarship once they achieve PhD candidacy for the balance of the four-year period of eligibility (as determined from the beginning of the doctoral program). 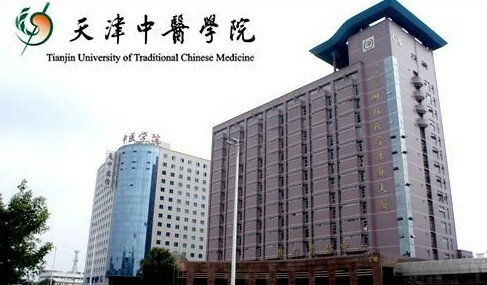 The new scholarship will be available to exist, international full-time doctoral students, who were accepted with a minimum A-/80% entrance average or who have achieved PhD candidacy for the balance of the four-year period of eligibility (as determined from the beginning of the doctoral program). Application Procedure: N/A. Full details on how the scholarship will be administered will be provided by the Office of Graduate Studies at a later date. 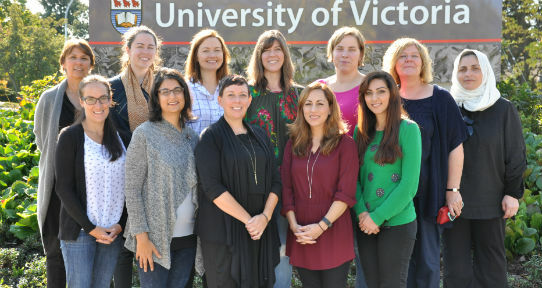 The University of Victoria’s Department of Indigenous Education (Victoria, Canada) is delighted to offer limited term Postdoctoral Fellowship position. The appointment is for one year, with the potential for extension for a second year. The project is supported by the Social Sciences and Humanities Research Council of Canada (SSHRC) through a Partnership Grant. The University of Victoria offers innovative programs for more than 20,000 students. Dynamic, hands-on learning, research that makes a vital impact, and discovery and innovation in Canada’s most extraordinary academic environment provide an Edge that can’t be found anywhere else. Study Subject: This Partnership works to understand and enhance Indigenous adults’ contributions to reviving Indigenous languages in Canada. 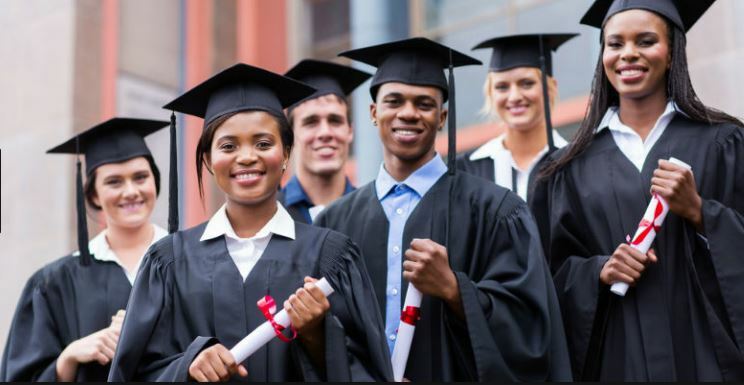 Scholarship Award: The position is salaried at $48,940 per annum and available after June 1, 2018, until filled. Completed a PhD in a discipline relevant to Indigenous language revitalization, including but not limited to education, linguistics, anthropology, public health, language assessment, etc. Ideally, but not necessarily, the PhD will have been completed in the four years immediately prior to the start. International applicants: Interested applicants who are not Canadian citizens or permanent residents of Canada will need to apply for a work permit and/or visa in order to come to Canada for their fellowship. Obtaining these documents is the applicants’ responsibility and the process can take up to several months or more depending on where you are from. Two (2) writing samples (published or unpublished) that best exemplify your scholarly work, along with an explanation of your role in each sample. Course Level: Scholarships are available to pursue an undergraduate degree programme. Eligible Countries: International (Non-EU) students are eligible to apply for these scholarships. Criteria is based on academic merit, but financial need will be taken into consideration for the higher value scholarships. 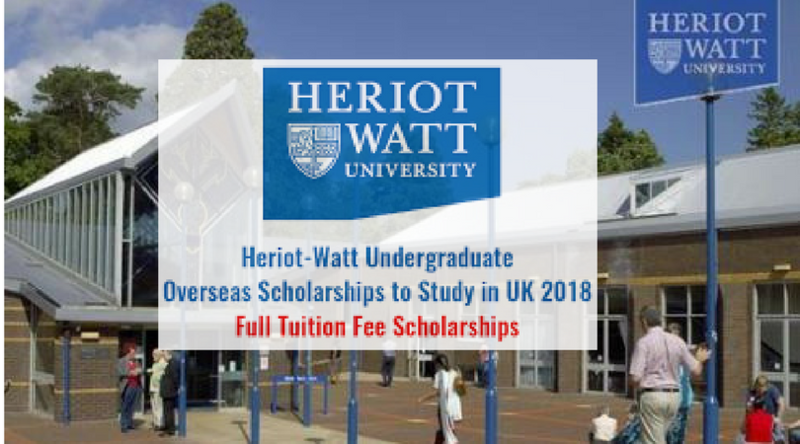 Applicants must have an offer of a place to study with Heriot-Watt University in the UK. 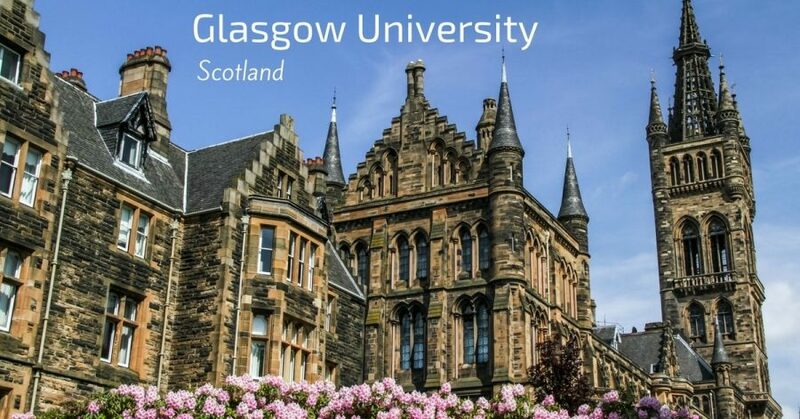 How to Apply: Once you have an offer of a place in the UK (on-Campus), visit the Application Portal, which is now open for applications. Please complete the correct application form by the deadline of Monday 30 April 2018. Distance Learning Programmes are not eligible for these scholarships.